Have I Taken the Necessary Prerequisite Courses? The MCAT exam will cover a lot of the same material taught in the courses required for admissions to most medical schools. This includes general chemistry, organic chemistry, physics (Newtonian Mechanics and Electricity/Magnetism), general biology, biochemistry, psychology, and sociology. 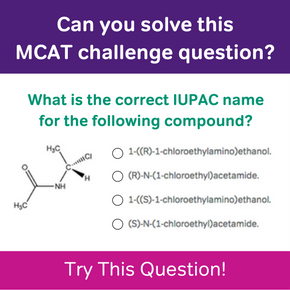 You do not need to be an expert in any of these subjects as the MCAT only tests introductory concepts. You also do not have to take all of the courses before the MCAT but it’s often easier to learn the material in a classroom setting than learning on your own. There are two strategies with scheduling your MCAT according to your course progress. One approach is to take the MCAT soon after you have completed all of the prerequisite courses. This way the material will be fresh in your brain. Another approach is to wait a few more semesters or years so that you can take more advanced science classes such as physiology, genetics, or molecular biology. While these advanced courses are not required for the MCAT, having a stronger knowledge of the sciences can help students achieve a higher score. The downside though is that several years will pass between your early classes like general chemistry and the time you begin your MCAT studies. As a result, you will likely have to do more review of the basics. 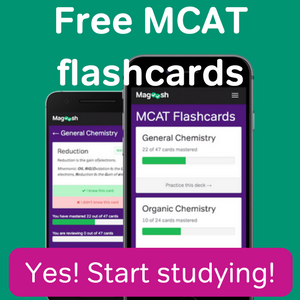 If you need a refresher in specific topics, Magoosh offers our own MCAT prep which covers the wide-range of topics you will find on the MCAT. Do I Have Time in my Schedule to Study? There is no minimum number of hours that you have to study in order to do well on the MCAT. At the same time, success on the MCAT requires a considerable investment of time. For example, it is very challenging to work full-time and expect to get all of your studying done on weekday evenings and weekends. After a long day of work, you are exhausted and studying for the MCAT is definitely not something your brain wants to do. However, this does not mean that you have to have a completely clear schedule. Pre-medical students are generally advised to participate in some sort of activity on the side (research, volunteering, etc.) while studying for the MCAT. The study process is draining and everyone needs to have a break and see other humans every now and then to maintain their sanity! As we stated from the start, there is not a perfect time for all pre-medical students to take the MCAT. It is possible for pre-medical students to get great MCAT scores regardless of whether they take the test in the middle of college, as recent college graduates, or years after college. You must decide for yourself when you are at a good point in your pre-medical trajectory to take the MCAT. 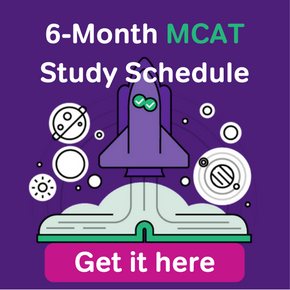 To make this decision, you will have to consider your progress with pre-medical coursework and how much time you can dedicate to studying for the MCAT. Once you decide that you are ready, you will have to buckle up, sign up for a test date, and start studying. Before you start though, make sure to check out our previous post on the top five strategies for MCAT success.